Leon Bellefleur was born in Montreal on February 8, 1910. In 1926, he enrolled at the École Normale Jacques-Cartier and after three years obtained his diploma in pedagogy. As a result of his education, Bellefleur was hired to teach elementary school by the Catholic School Commission of Montreal, a position he held for 25 years. Bellefleur had the freedom to develop his art during his summer holidays and in the evenings from 1929 to 1938, while attending drawing classes at the École des Beaux-Arts in Montreal. Bellefleur joined the group, Prisme d'Yeux along, with Albert Dumouchel, Jacques de Tonnancour, Louis Archambault and others. He exhibited with the group and joined them in signing their manifesto in 1948. The group's ideals were a reaction to Quebec's, Les Automatistes, who called for an approach of freedom of expression. Through the association with these artists, Bellefleur became interested in the Surrealist preoccupation of the subconscious as a source of inspiration. Towards the end of the decade, he became interested in the work of Russian artist, Wassily Kandinsky and the Spanish artist, Juan Miró. After his retirement in 1954, Bellefleur was able to pursue his art career full time. He frequently took extended trips to Europe, particularly to Provence and Paris, where he set up a studio. 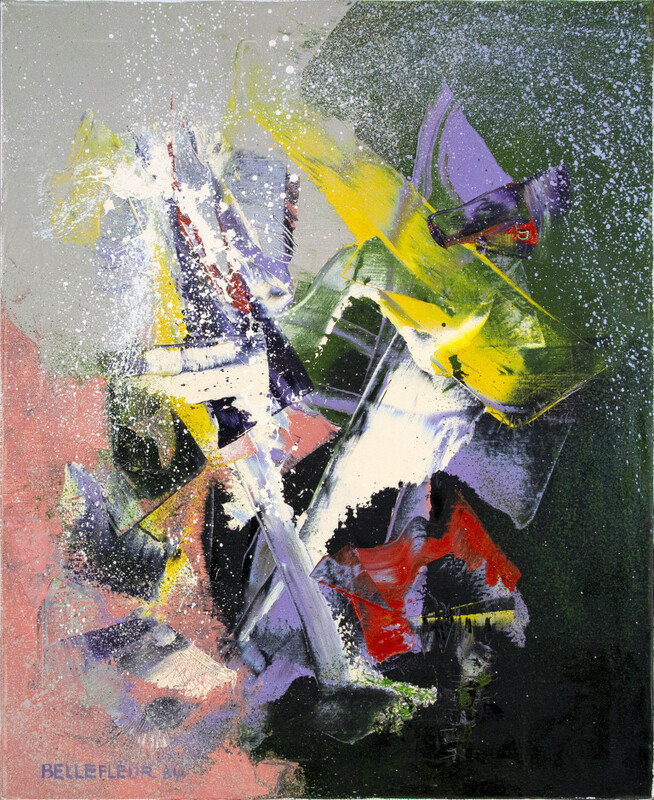 Over the next ten years he experimented with different painting techniques and played with ways of applying paint to various surfaces. He also engaged in lithography and etching. Bellefleur returned to Quebec permanently in 1966. 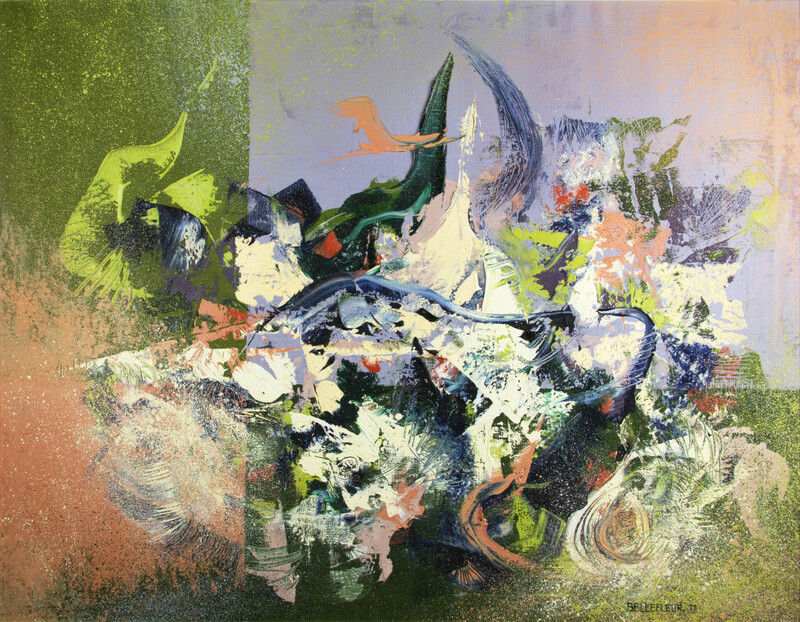 The National Gallery of Canada held a retrospective exhibition for Bellefleur in 1968 that boosted his career. Québec publishing houses, Éditions de l'hexagone and Éditions du Noroît, frequently commissioned Bellefleur to create illustrations for their publications. 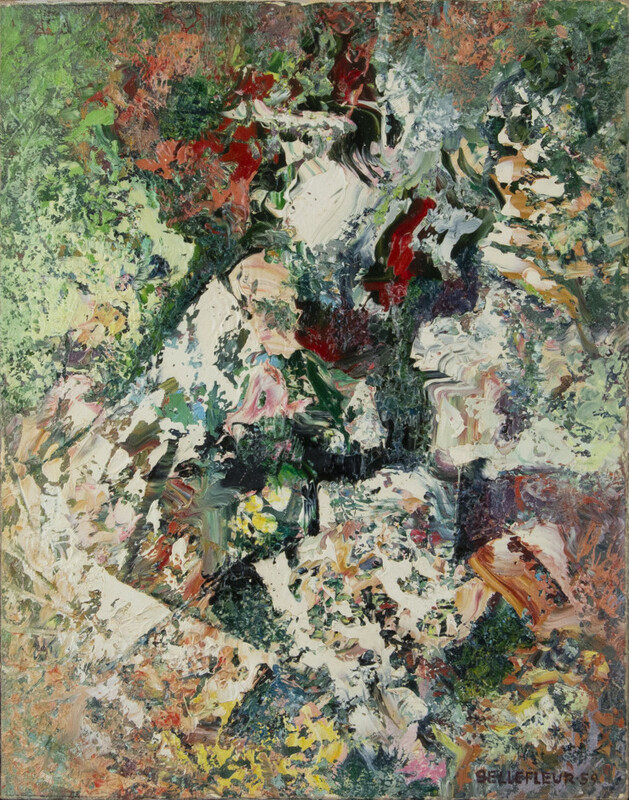 He continued to create lyrical and surrealist influenced painting, drawings, and prints through the 1980s. Frederick Palardy Gallery, Saint Lambert, Quebec, 1982. The Contemporary Art Society, Montreal 1939-1948, travelling exhibition organized by the Edmonton Art Gallery, 1980. Borduas Prize, Government of Canada, 1977.